Welcome to the Oleaceae information site! Here you will find information gathered on the taxonomy and systematics of the plant family Oleaceae, especially the genus Fraxinus (ash trees), with images, descriptions, reference lists and information on the reproductive biology of some species. The site is maintained by Eva Wallander (about me and my publications) and hosted by One.com. You are welcome to suggest addtional links and inform me of errors you may spot! Fraxinus, the Ashes, is one of 24 extant genera in the Olive family, Oleaceae. 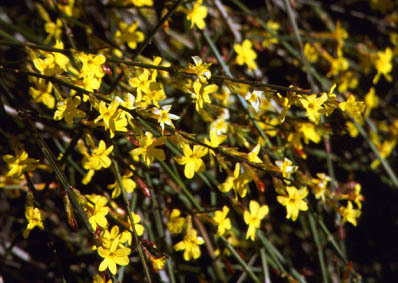 The genus comprises 48 species, mostly trees, occurring in temperate and subtropical parts of the northern hemispere. There are both anemophilous (wind pollinated) and entomophilous (insect pollinated) species in this genus and a variety of breeding systems, such as hermaphroditism, androdioecy, dioecy and polygamy (PhD thesis). 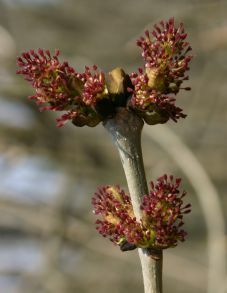 Information on the flowering biology of Fraxinus excelsior, F. angustifolia and F. ornus. Selected references about Oleaceae (general papers and flora accounts). Online resources are below. References to the different genera of Oleaceae can be found on each genus page.